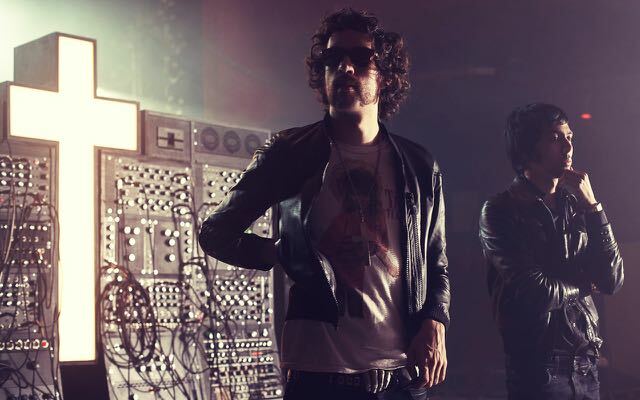 French electronic duo Justice are often hailed as a formative act in the burgeoning days of EDM, and their upcoming third studio album has been hotly anticipated over the last five years. Details of the group’s new LP have slowly trickled in over since their last release, but fans have largely been left in the dark to wait for new material. A Swedish podcast called OnlyMusicPod unveiled a few hints about the upcoming work this week though, offering up some insider knowledge on what the duo has been up to. While the segment doesn’t really give us any concrete details, the hosts mention that the first single is “very soon going to be released,” while further stating that the album has a likely release date set for the fall. OnlyMusicPod also say that the new Justice album has a one word title and will not be named after the band, while revealing that the forthcoming work sounds like a combination of their first two records. Sure, it’s not much to go on, but fans will no doubt be hyped about the news anyways.